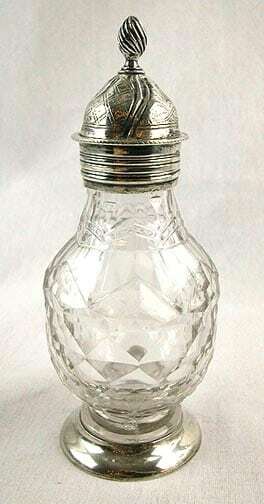 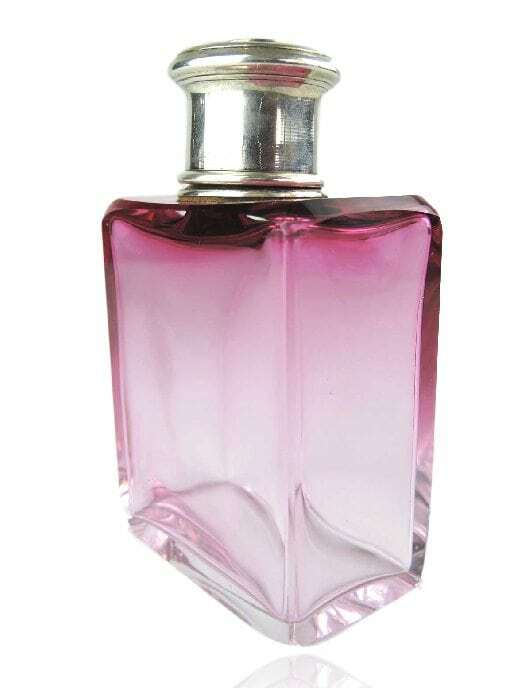 Home » Products » Silver Holloware » Cranberry and Sterling Silver Top Perfume Bottle, circa 1910. 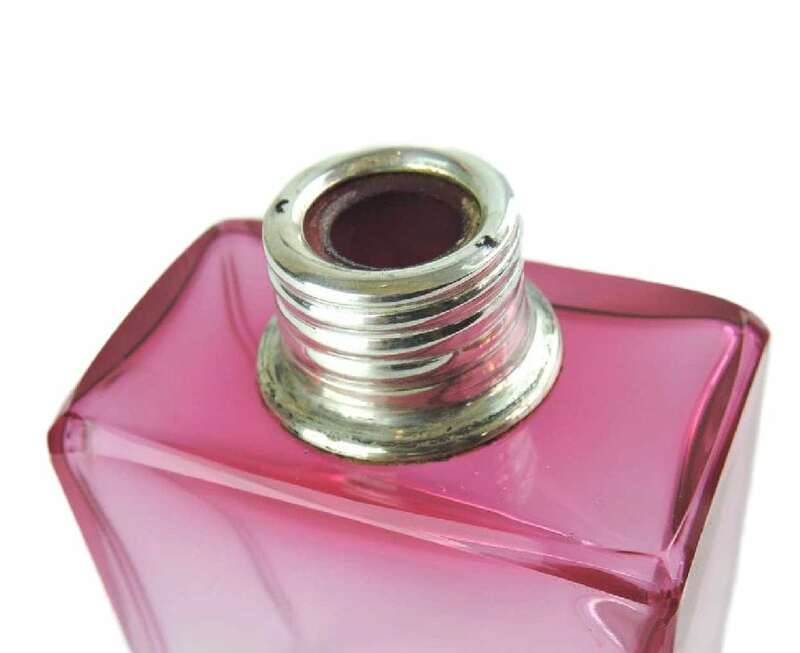 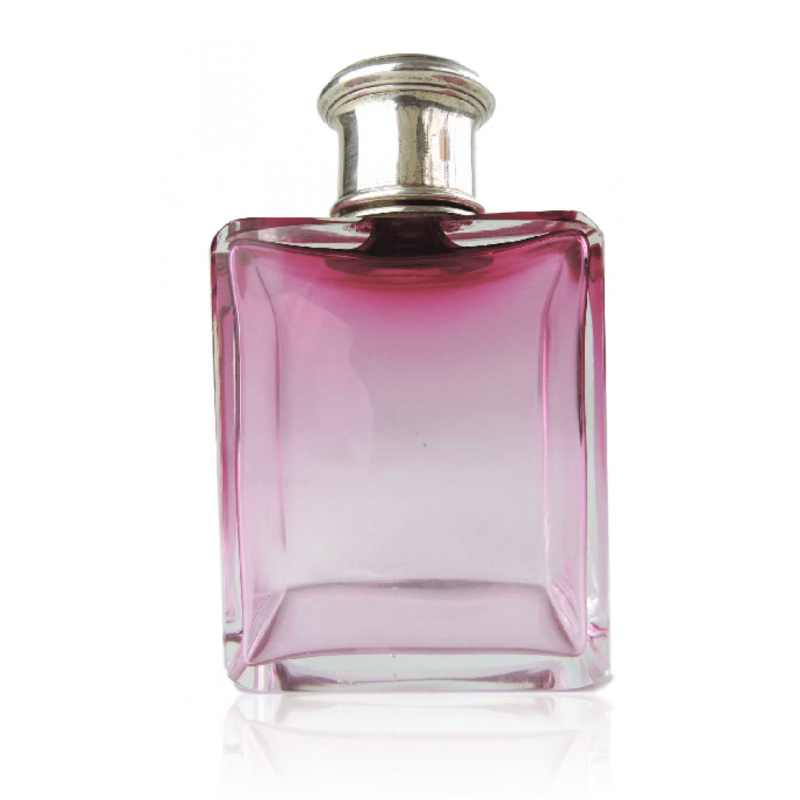 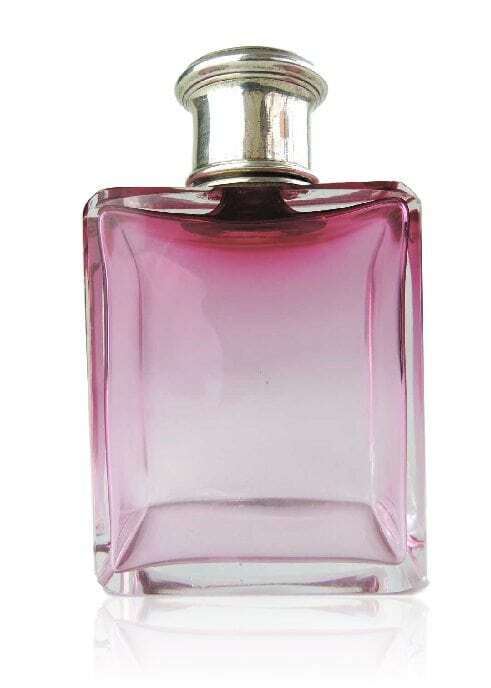 A beautiful shade of deep cranberry transitioning to clear perfume bottle with sterling collar and top. 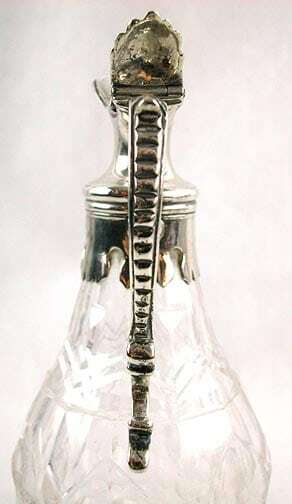 Taking off the top reveals a crystal stopper. 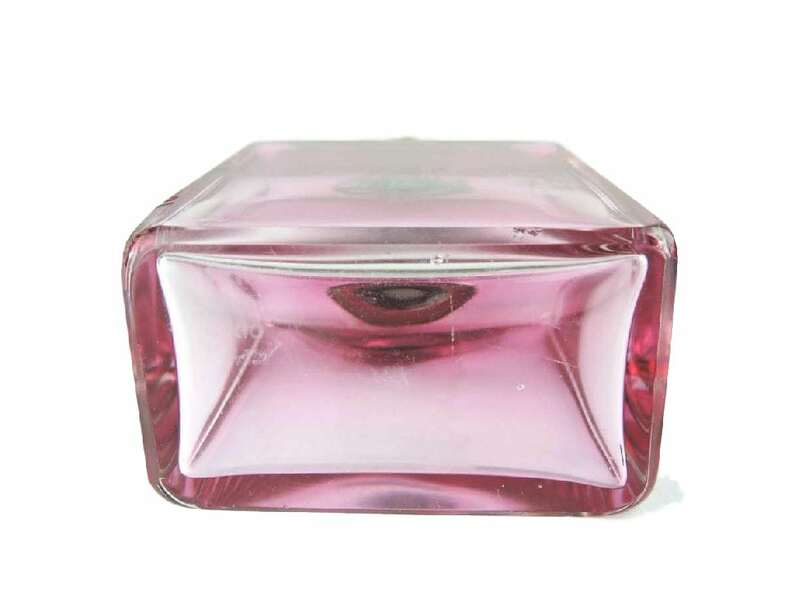 Measures:3 1/4 inches x 2 1/4 inches wide. 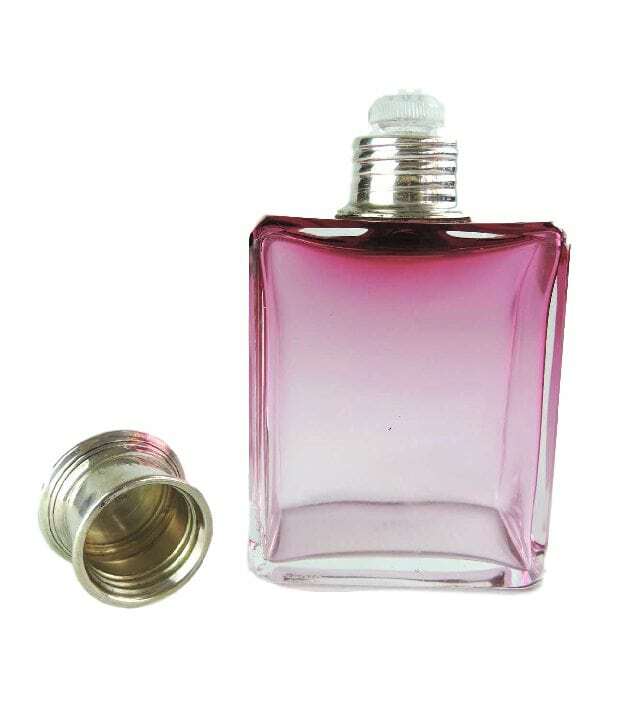 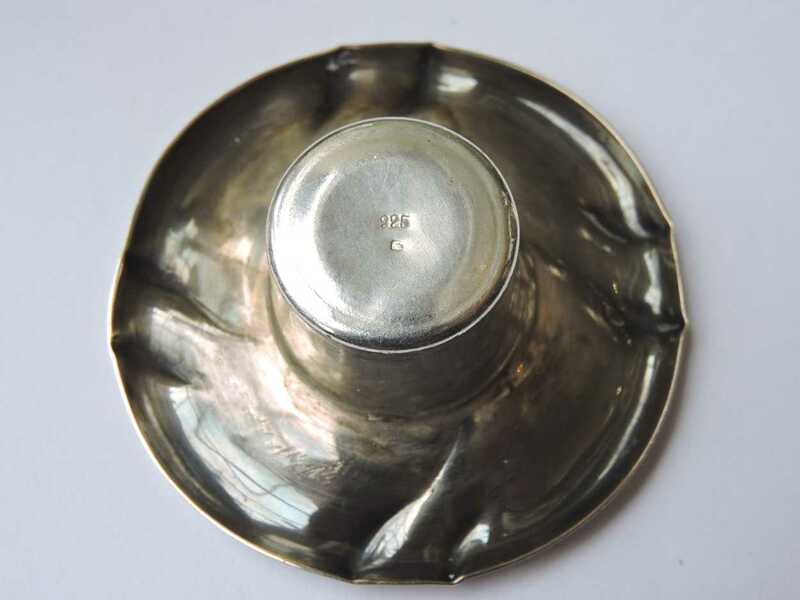 Product ID: 63637 Categories: Gift Ideas, Perfumes & Powder Boxes, Silver Holloware. 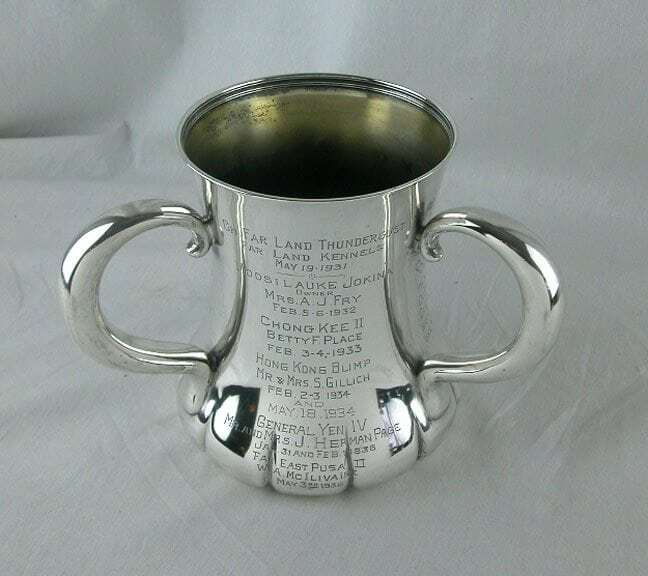 A Tiffany & Co. Sterling 3 Handle Loving Cup Trophy. 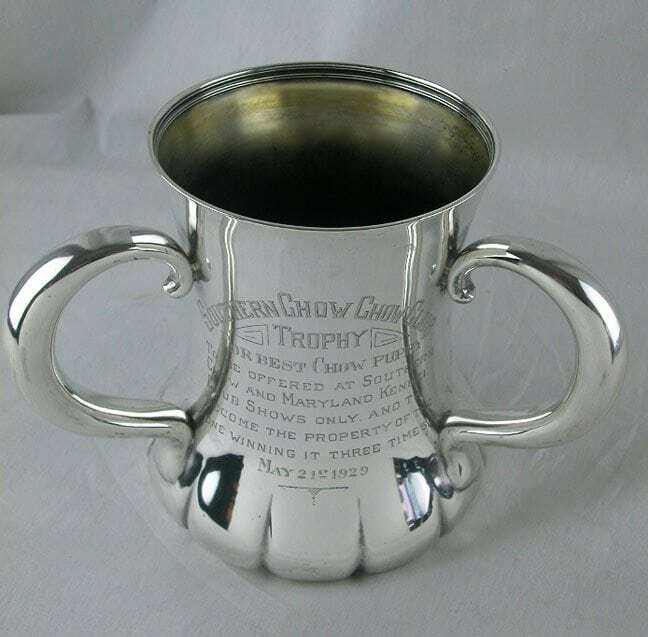 An American Tiffany & Co. three handled loving cup Dog trophy for Chow-Chow competition. 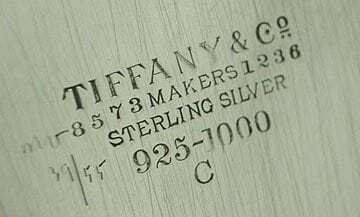 Marked Tiffany & co. Makers on bottom. 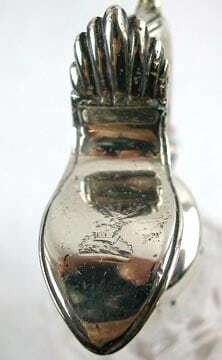 Mark dates trophy for 1925. 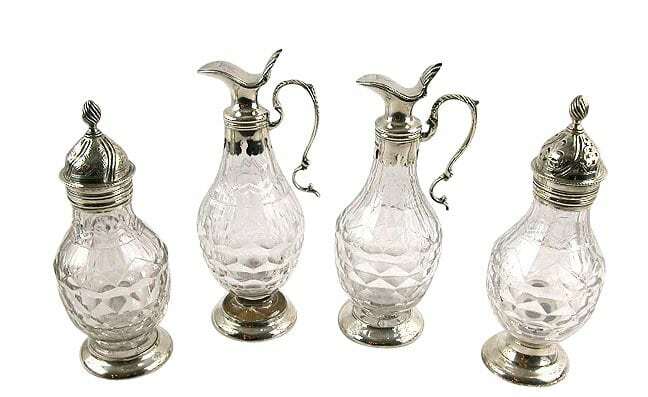 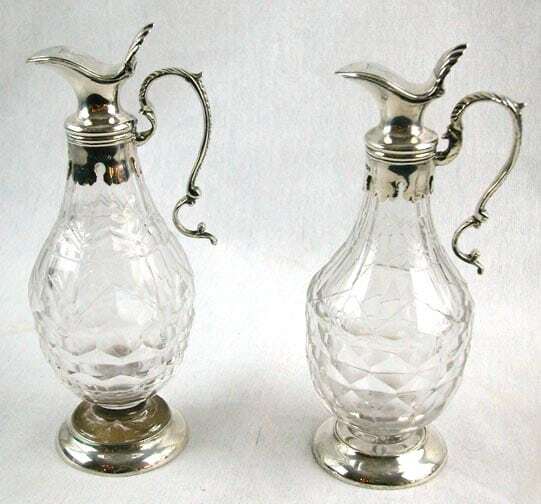 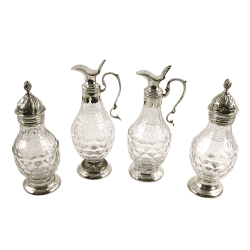 A set of 4 crystal and silver bottles for oil and vinegar. 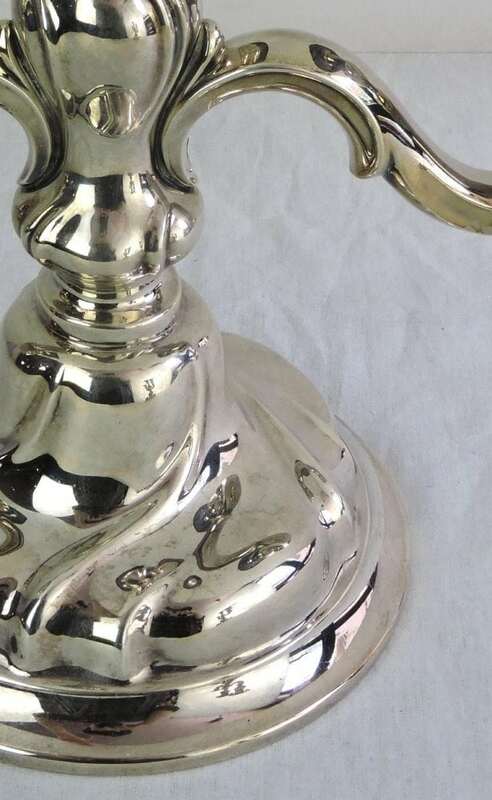 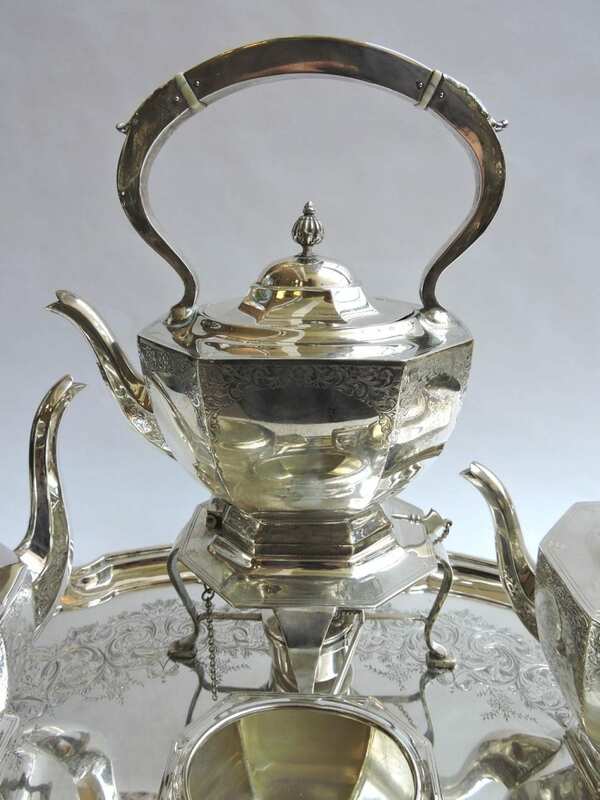 English hallmarked silver for 1815. 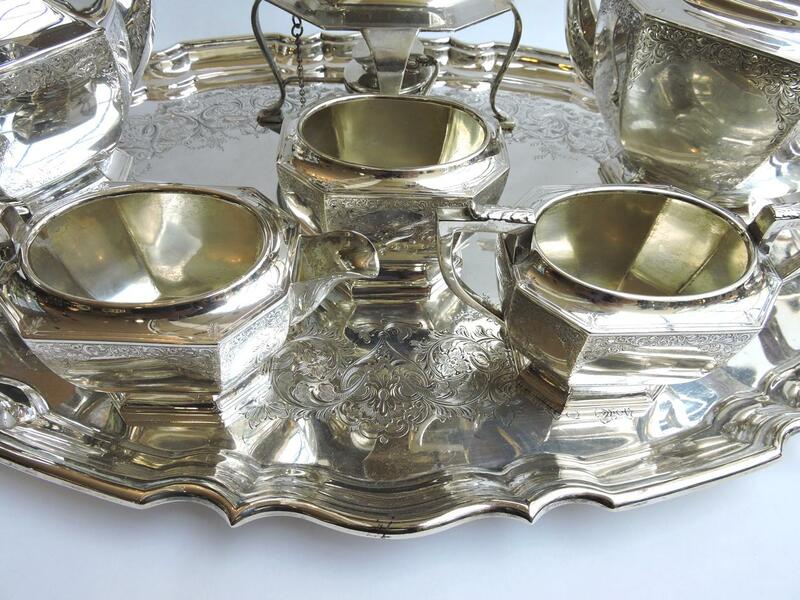 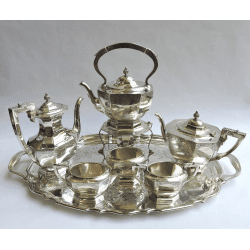 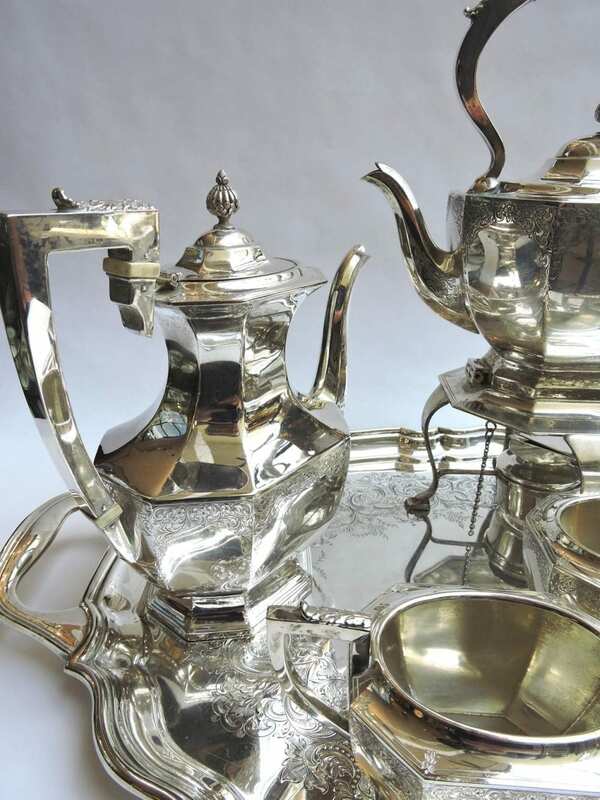 A magnificent quality sterling tea service by Birks. 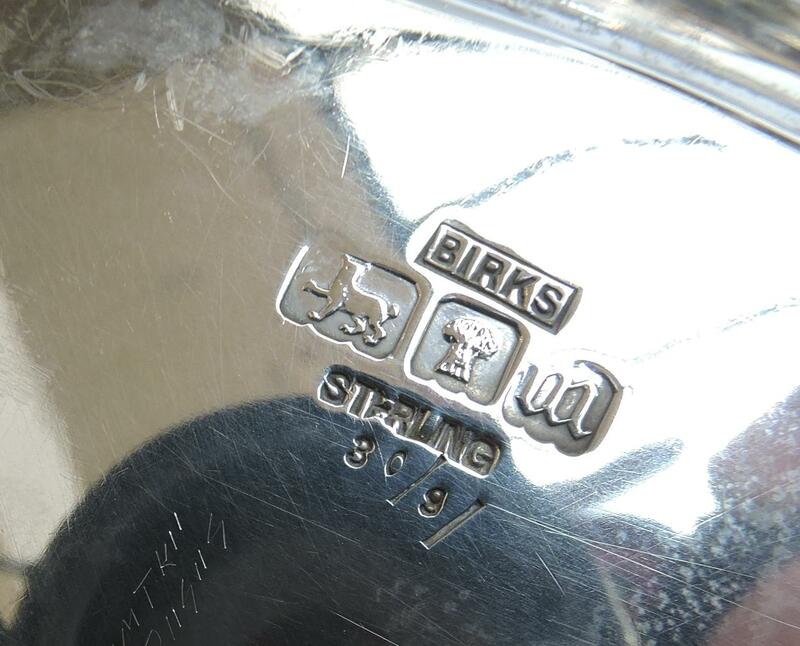 Sterling Birks marks date the set for 1928. 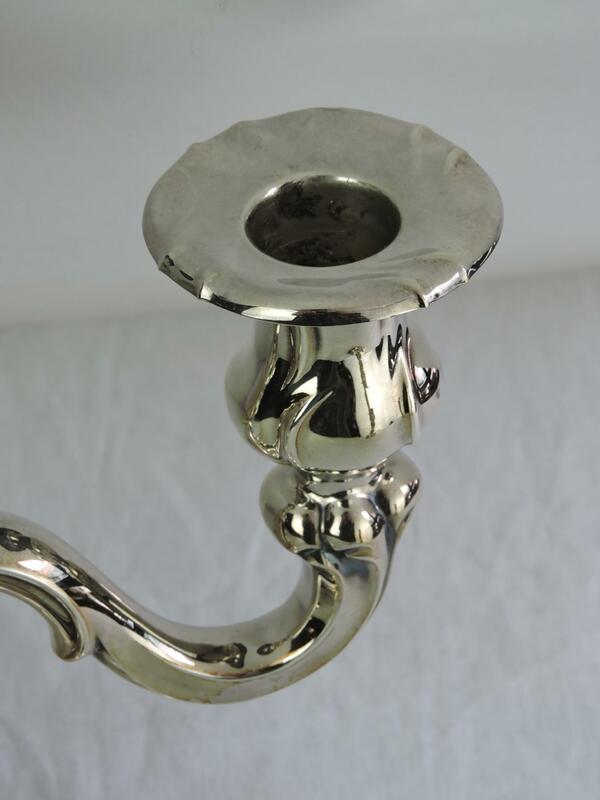 Sterling handles and ivory separators. 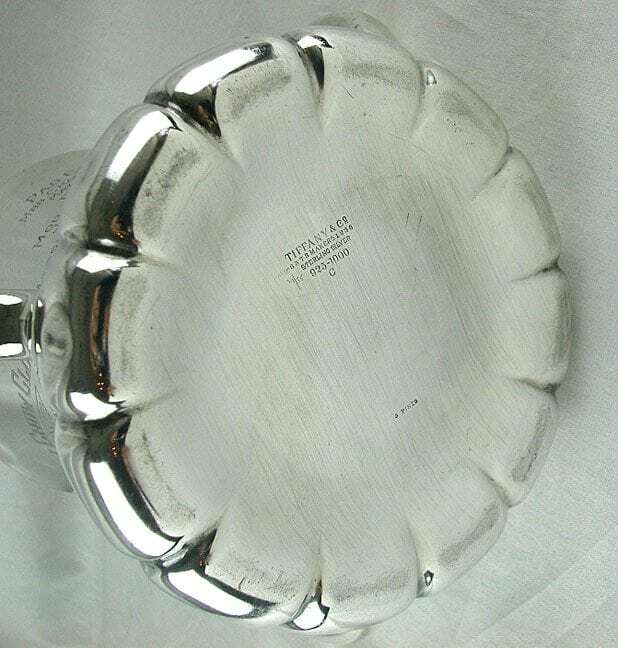 Total weight of set: 6482 grams. 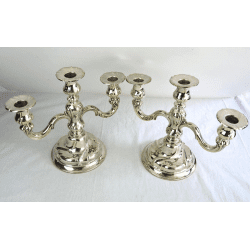 This pair of sterling candelabras, circa 1920’s, have a very gentle flowing look about them with their smooth Art Nouveau design that distinguishes them from the harsh edges that so many modern candelabras have. Each has the original bobeche to catch the wax drippings that are removable for easy cleaning and each is marked 925. 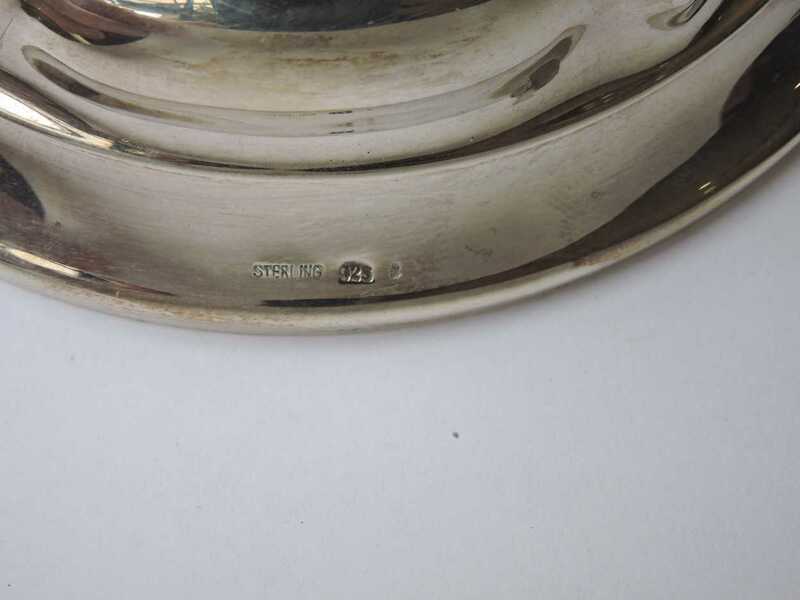 Marked: On the topside of each base Sterling, 925. each bobeche marked 925. 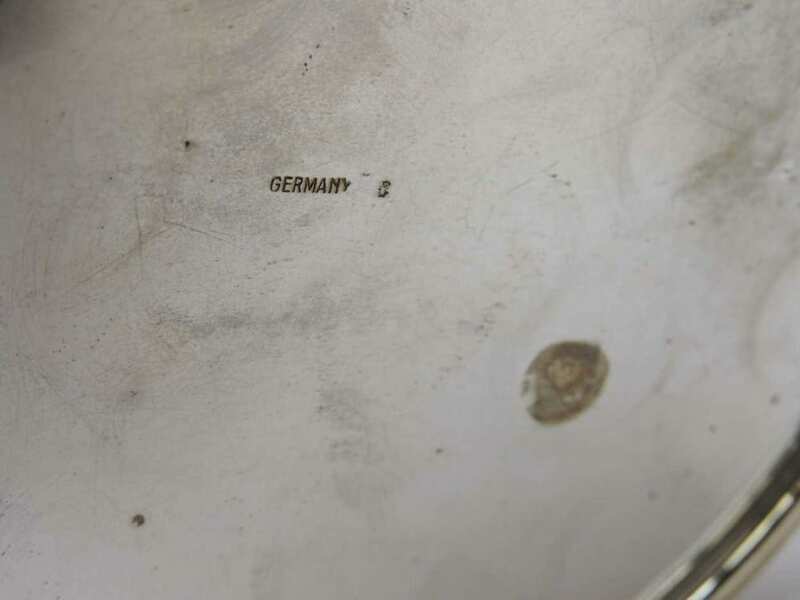 The bottom plates are marked German but are silver-plated. 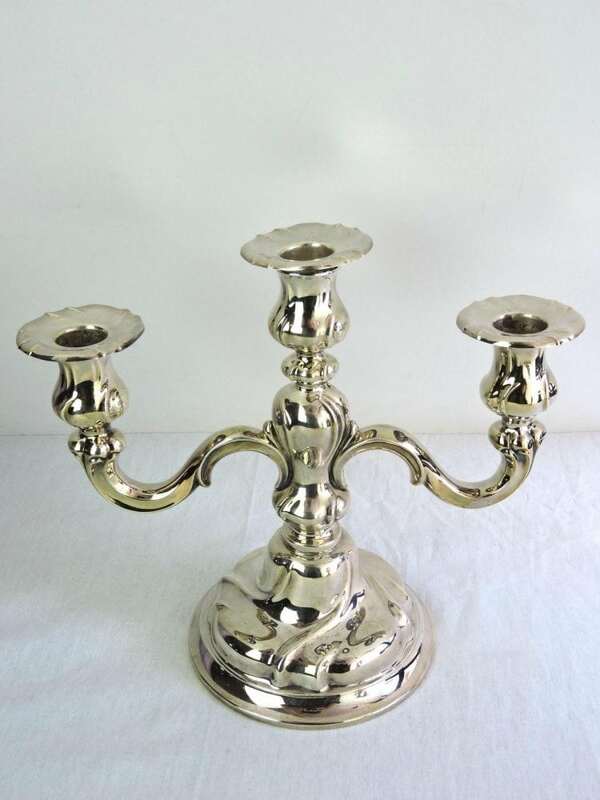 Each Measures: 10 inches wide x 8 3/4 inches high. 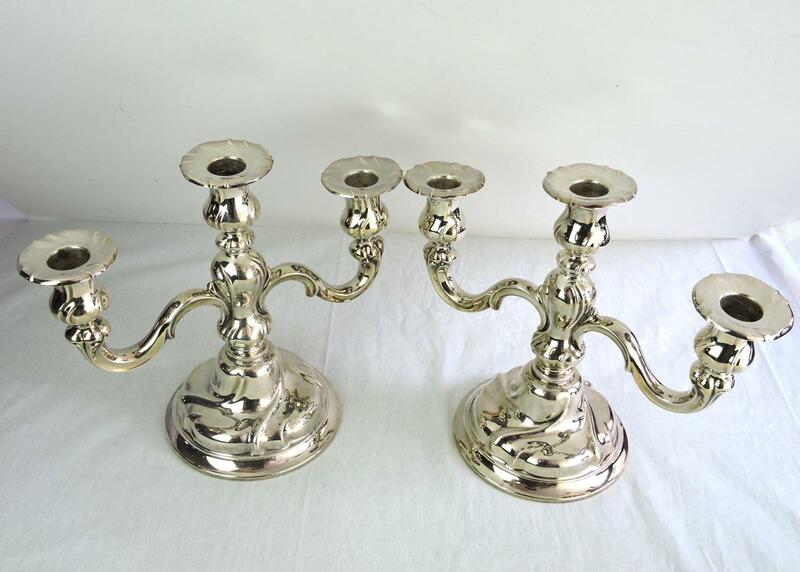 Excellent Condition: No dents or repairs, the silver-plated bottoms show some spotting. Pair of Miniature English Edwardian Sterling Silver Column Candlesticks – dated 1902 – Chester.